; --- Please keep in mind that due to telescope flexture and the seeing the FOV will still move around but the pointing error will be small. ; --- Keep in mind that the pix size correction is very tiny and the old pix size is not necessarily incorrect. ; it is also the reference time; for example, at approx 21:14UT the orientation of NST FOV ; is aligned along solar N-S and E-W lines. 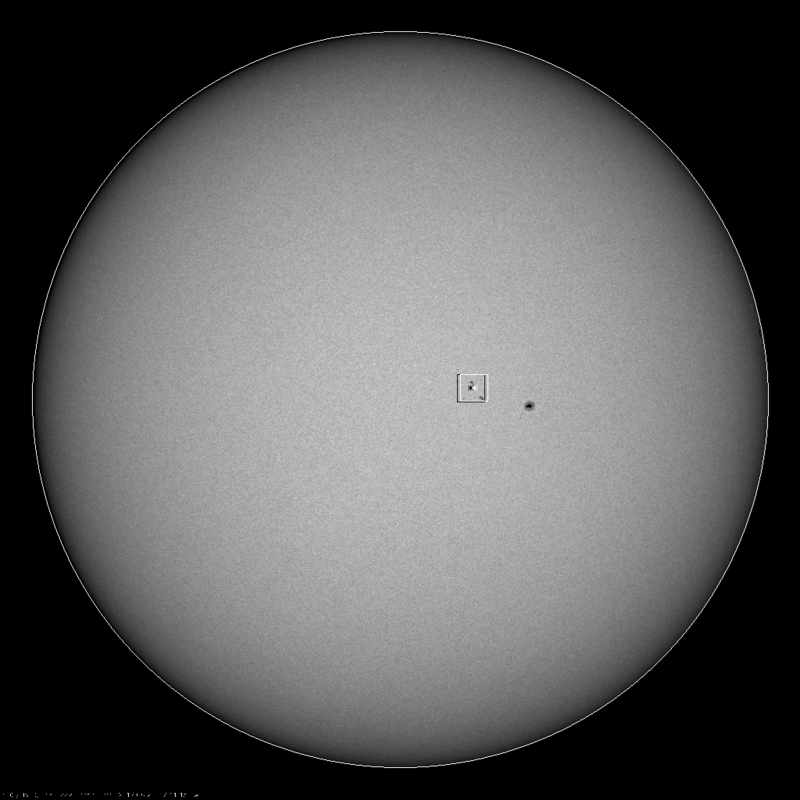 ; By setting time1 to 21.2333 (21:14) any TiO image will be derotated thus to match the HMI orientation. IF direction EQ 1 THEN dir=1. IF direction EQ 2 THEN dir=-1. ; --- The two panel figure shows the resulting coalignment between HMI (left) and TiO (right) images. 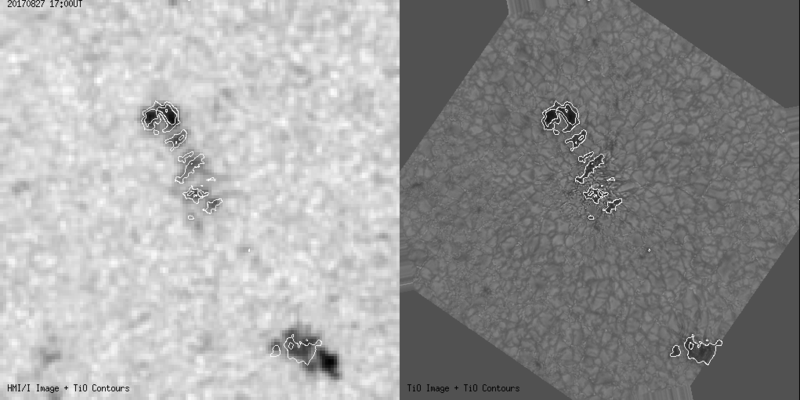 Both images are overplotted with the same TiO contours.